Earth Day – April 22nd! 45th Anniversary of Earth Day! Earth Day was first celebrated in 1970, marking what many consider the birth of the modern environmental movement. Forty five years later, Earth Day continues to be a day of action! On April 22 citizens throughout the world participate in various community activities to help keep our environment beautiful. Join the City of Torrance in celebrating Earth Day this year by participating in the community events going on this month! Enjoy arts and crafts, docent led tours and a kids concert with artist Dan Crow, regularly seen on Nickelodeon and The Learning Channel. For more information visit this Friends of Madrona March webpage or call 310-782-3989. 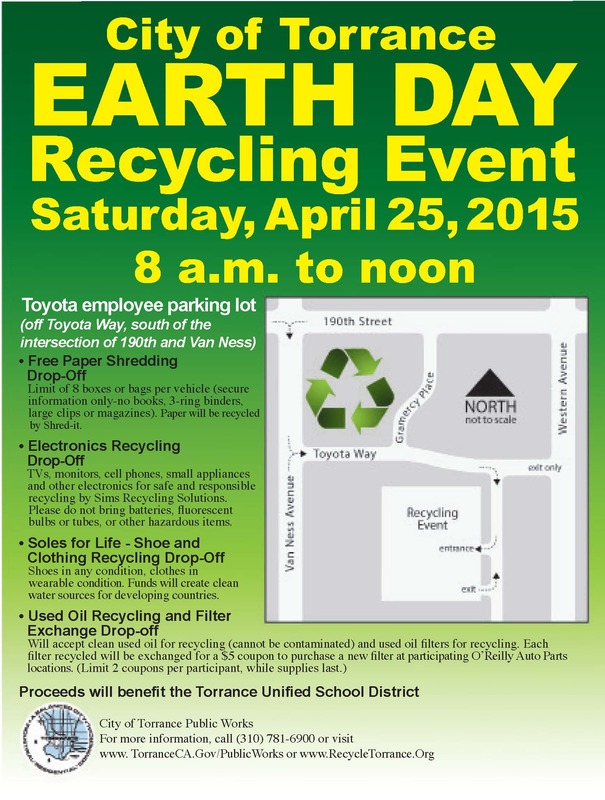 For more information visit this Recycle Torrance Events webpage of contact Torrance Public Works at 310-781-6900. 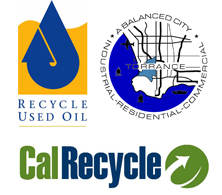 Click here to view The Torrance Public Works Department Newsletter. “One’s Person’s Trash…” Your guide to reducing, reusing, and recycling.